This recipe is perfect for those of you who’s tastebuds are burnt out from Thanksgiving leftovers 😉 My husband did a great job grilling this to the perfect medium doneness! The flavor was really good, but it lacked spice – next time I’ll add some red chili flakes or just coarsely cracked black pepper. Thanks for reading, enjoy! Place the plastic bag in a large bowl and then add the soy sauce, balsamic vinegar and oil to the bag. Whisk in the honey, garlic, ginger and scallions. Add the steak to the bag, flipping it to coat it in the marinade, and then seal the plastic bag. 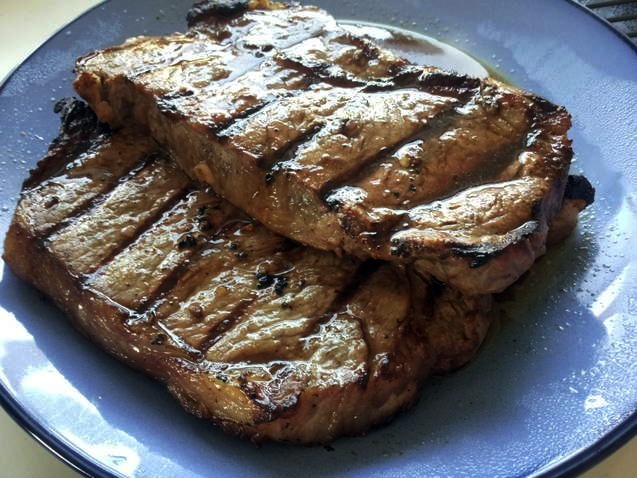 Place the steak in the fridge and marinate it overnight, or for a minimum of 10 hours. When ready to cook, remove the steak from the fridge and preheat your cooking surface (grill or stovetop grill pan). Remove the steak from the marinade, discard the leftover liquid, and sear the steak on each side until it’s cooked to your desired degree of doneness. Let the steak rest for 5 minutes and then slice it against the grain and serve. 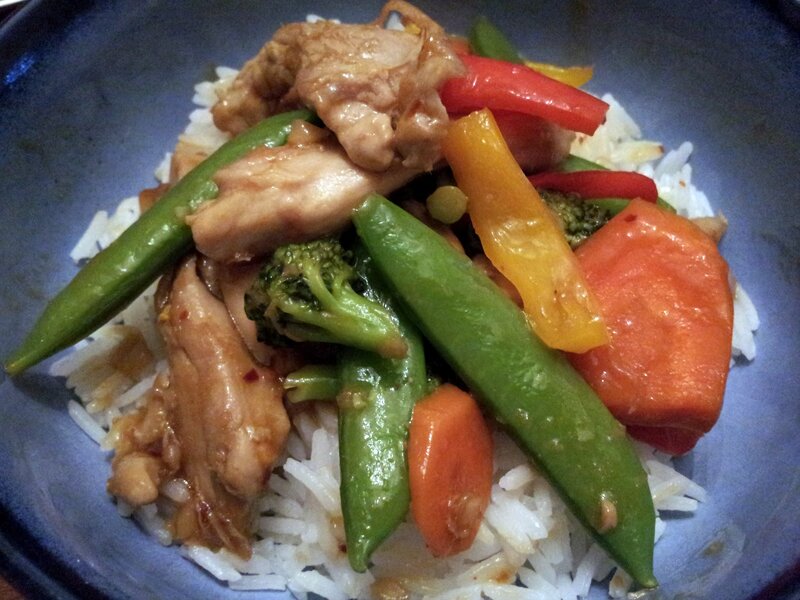 I am really digging stir fry dinners! I bookmarked this recipe months ago, it’s a PW recipe so I knew she wouldn’t steer me wrong 😉 The flavor in this dish is spot-on! I didn’t have the required sherry, so I used Mirin – other than that, I followed all the directions. My family really enjoyed this meal and I my picky eater asked if she could eat leftovers before she was finished with her serving 😉 Thanks for reading, enjoy! This was really good and my whole family enjoyed this meal. Next time I will add some honey or more orange juice for a little more sweetness, because the savory flavors were pretty strong. I like my flavors to have a little more balance, but other than that this is definitely a winner. Even my kids wondered if I’ll make this again! I can’t beat that kind of enthusiasm, especially when it has so many veggies in it. I will add more veggies next time and the fam requested baby carrots, and I missed the crispy crunch of water chestnuts. M doesn’t care for those, but he can pick them out; which means more for me 😉 Thanks for reading, enjoy! In a small bowl, whisk together the soy sauce, orange juice, rice wine vinegar, light brown sugar, sesame oil, red pepper flakes and cornstarch. Reserve. Set a wok over medium-high heat and coat with 1 tablespoon of peanut oil. When the oil shimmers, add about half of the chicken thigh pieces. 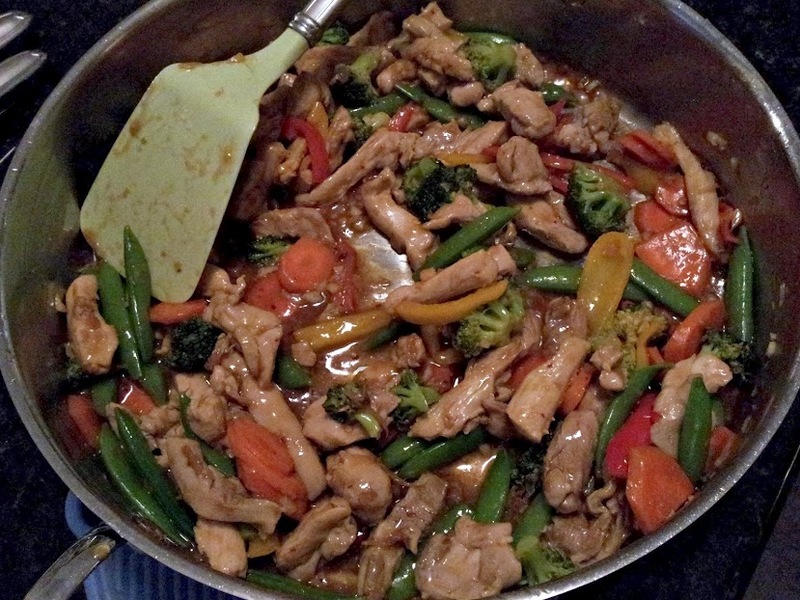 Stir-fry until the chicken is fully cooked through, about 3 to 4 minutes. Transfer to a plate and repeat the process with the remaining chicken thighs. Add enough peanut oil to the hot wok to coat the bottom. Add the garlic, ginger, green onions, and red pepper flakes, to taste, and saute until fragrant, about 1 minute. Add chicken back to the pan along with the broccoli florets and stir to warm through. Pour in the reserved sauce and stir until the sauce is thickened and bubbly, about 45 seconds. Transfer to a serving bowl and serve. 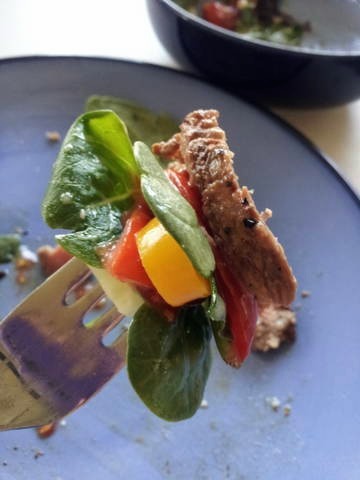 Now, I’m not usually for fiddling with a perfectly good steak; but while searching through Pinterest, I came across this and the combination of flavors worked well and I thought “why not?”. 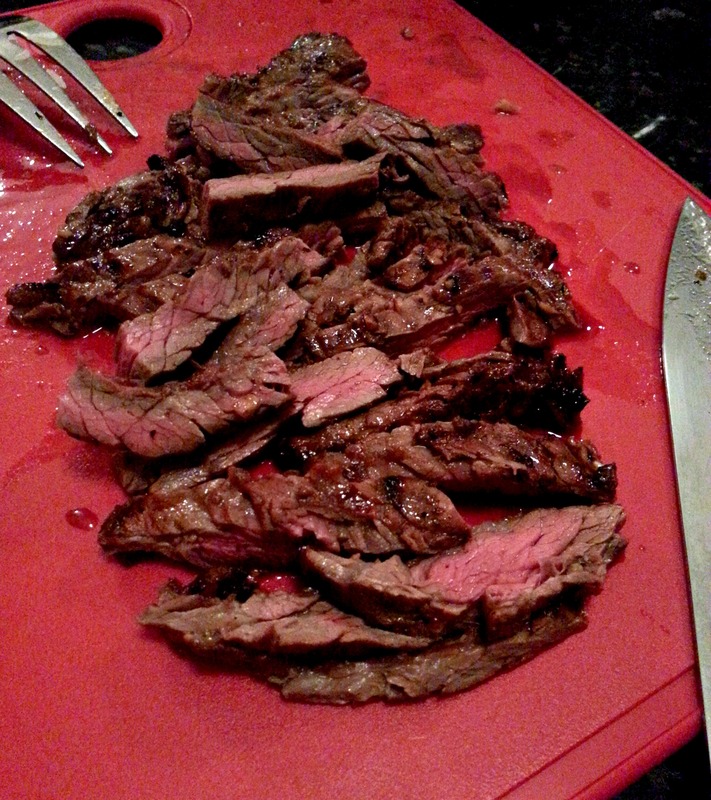 Steak was on the menu, and I already had all the marinade ingredients so, again – “why not?”. Three strip steaks are soaking in this now and soon I will flip them over to marinade a little longer on the other side. 1. Combine all ingredients in a bowl and pour over top steak. I placed my steaks in a glass baking dish, then covered with plastic wrap. Marinade for at least 4 hours. 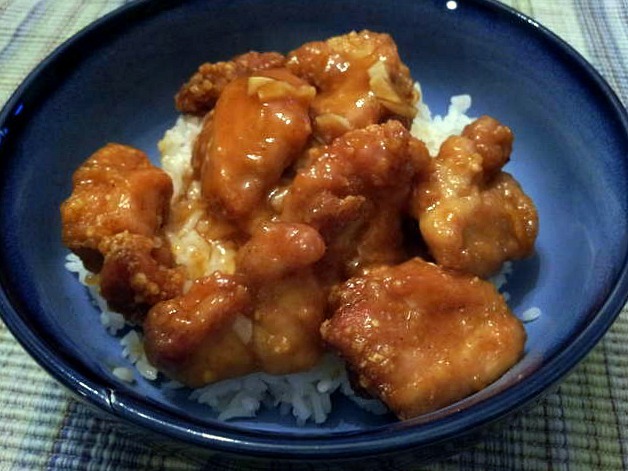 I don’t like take-out orange chicken because it has that fake, candy orange flavor – ick! I did however love this homemade version. 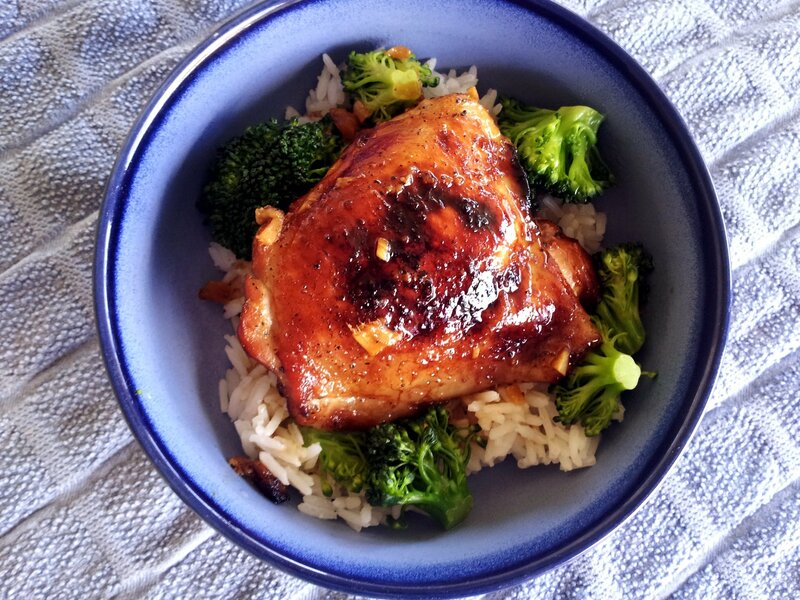 The sauce is easy to make and doesn’t require lots of exotic ingredients, it’s fresh and the orange flavor is far superior to typical take-out versions. 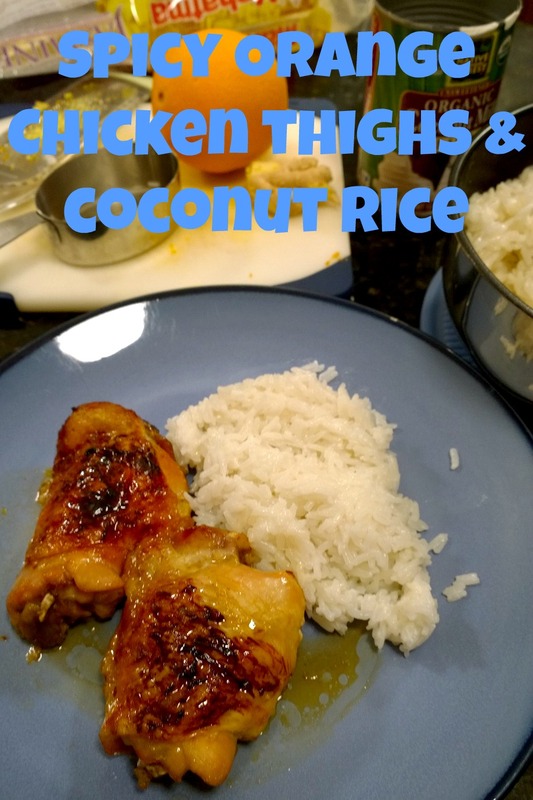 My family really enjoyed this too – my husband who is a fan of take-out orange chicken may never go back to that again 😉 I ruin things for him in really good ways! Same with cinnamon rolls, because he’ll never want the canned stuff again. 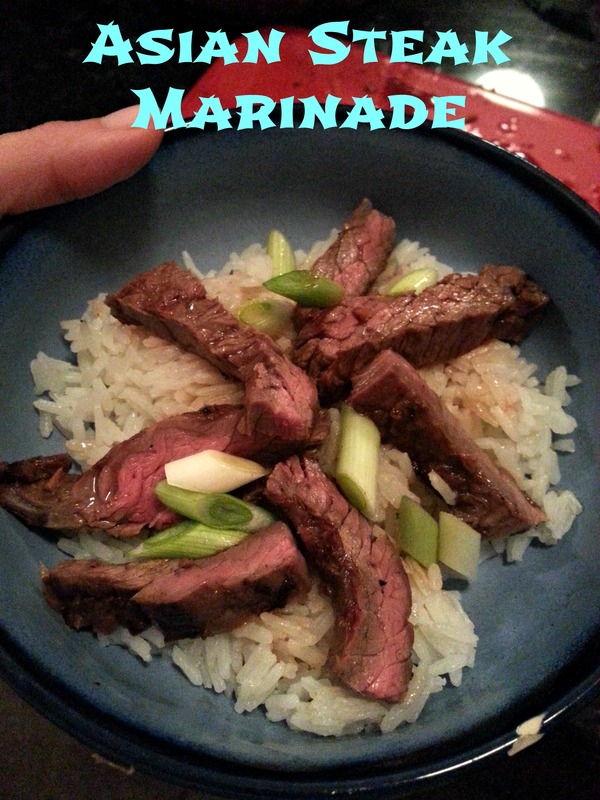 I would recommend making another half batch (or double if you like lots of sauce) of the marinade/sauce mixture. 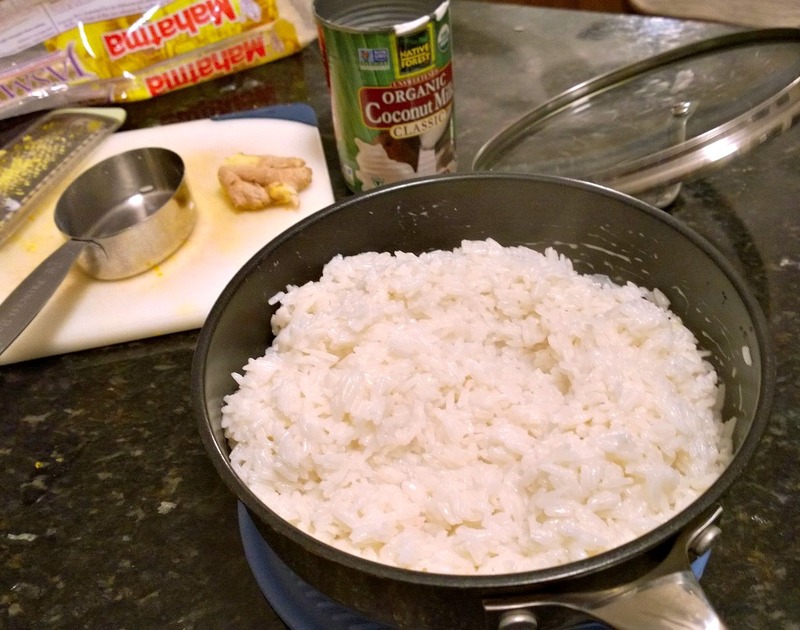 It is perfect mixed into the white rice. 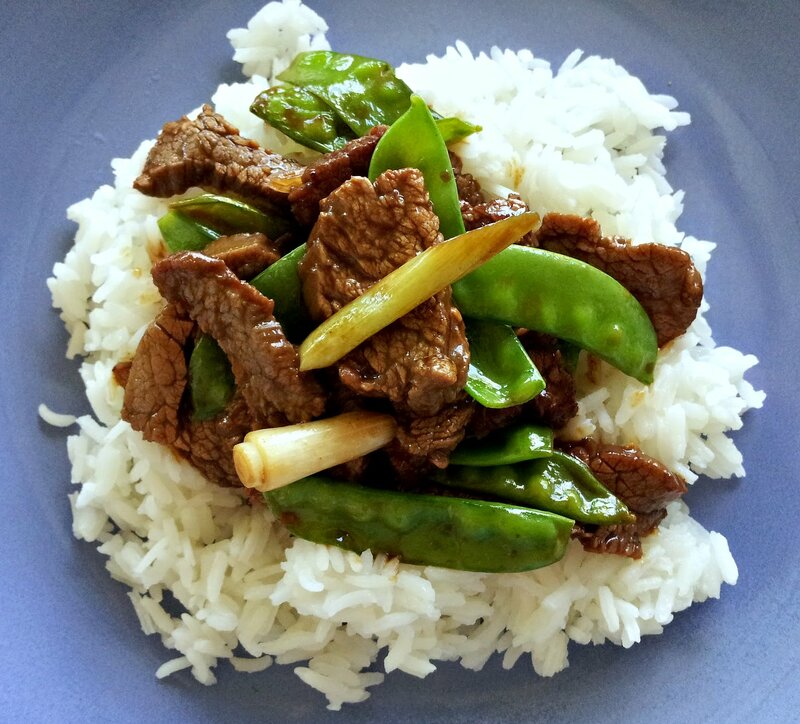 Next time I will add veggies to this like sugar snap peas or steamed broccoli to make up for the lack of fiber in this dish. Also, I used a combination of peanut oil and vegetable oil (it’s all I had) because I didn’t have enough peanut oil – that stuff is expensive! I’m sure you could fry this all in canola or vegetable oil though. Thanks for reading, enjoy! To fry the chicken, heat the oil in a 11- or 12-inch round Dutch oven or straight-sided sauté pan until the oil reaches 350˚ F. Carefully place half of the chicken pieces in the oil and fry until golden brown, about 5 minutes, turning the pieces halfway through cooking. Remove from the oil with a skimmer or slotted spoon and transfer to a paper towel-lined plate. Return the oil to 350˚ F and repeat with the remaining chicken pieces.